Nearly three decades later, Rowan-Campbell grows organic coffee on her two hectare, Rowan’s Royale farm. The nearly 60-year-old farm is situated on a steep slope in western Portland, a parish in northeast Jamaica overlooking the famous Blue Mountains, known for their coffee plantations. Rowan-Campbell is a certified inspector and trains other farmers in organic farming and promoting certification. 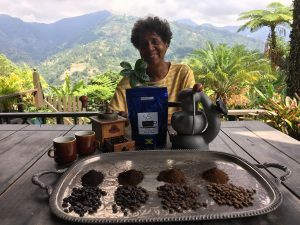 Last year she was part of an initiative to develop a Caribbean Community (CARICOM) standard for organic coffee production. The post Wake Up and Smell the Organic Coffee appeared first on Inter Press Service.